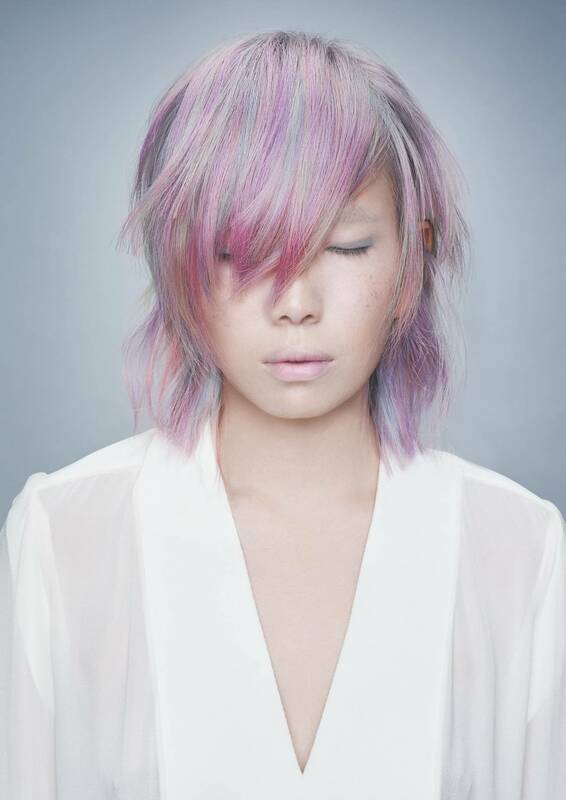 Want to achieve that beautiful pink or purple hair? Or are you about to embark on your first hair coloring experience? Here are some things to know so that you will be prepared for the process, to make sure that you achieve the best results. All ‘cool’ tones require bleaching. Beautiful Asian hair can look even better when enhanced with the colors of the season. However, since we are genetically blessed with black or dark brown hair, bleaching is necessary to achieve those colours. That means anything from pink, purple, blue to green and grey. The ‘purer’ or more true to a colour you want it to look, without any yellowness (which is why these colours are considered ‘cool’ tones), the more times the hair will need to be lightened. That means that you will have to be prepared for multiple lightening sessions for that colour you desire! If you’ve dyed your hair black before, it will take longer to strip the colour. Black dye is notoriously difficult to strip, so if you’ve dyed your hair black before, it’ll be good to know before you go. That just means you’ll have to factor in extra time and resources if you are determined to change your hair colour. Don’t have extra time or money to spare? Our stylist are pros at coming up with alternative looks (highlighting, constructing a unique cut) that can still satisfy. Don’t hesitate to discuss your vision with your stylist – at Hairloom, listening and paying attention to your needs are of utmost importance to us. Real talk: any kind of bleaching or chemical services will cause damage to the hair. If you’re going for dark brown or black colour, then the damage to your hair will be slight. However, if your stylist has taken care to assess your hair and offered you solutions to protect your hair to the greatest extent possible, this can help minimize the damage. For example, we have a special Reconstructing Treatment (also known as Olaplex) that will strengthen hair bonds and chemically alter your hair structure such that it will withstand any coloring or perming process. The skill of the technician matters. Ever experienced your hair appearing yellow no matter what colour you intended to dye it? That’s usually because your hair hasn’t been adequately lightened. Your black or brown hair will need to be stripped ‘clean’ before any colours will show. Depending on your hair type and texture, and whether it’s been chemically treated before, your stylist or technical expert should be able to tell you how long it will take for the colour to be stripped and whether your hair will be able to hold up during the process. Sometimes, hair strands that are finer, weaker, or already damaged will not be able to withstand multiple bleaching sessions. A responsible stylist will be able to convey to you accurately and honestly whether your desired look is achievable. After-care matters. To maintain the color and vibrancy of your look, it’s important to use the right products and tools. Factoring this part of the process into your daily routines will help your look to last longer. Color Butter is something we use to keep the colour looking fresh – using it monthly or even weekly will ensure that your hair is nourished and conditioned at the same time. We love multifunctional products so this Japanese product works wonders for us! We believe good hair is an investment. It’s an intrinsic part of your everyday look, one that should be worn with pride and ease. And for the hair colouring investment that you put into your hair, you shouldn’t have to compromise on how the final look will turn out. Feel free to reach out to us today for a free consultation on your desired hair colouring look and experience.